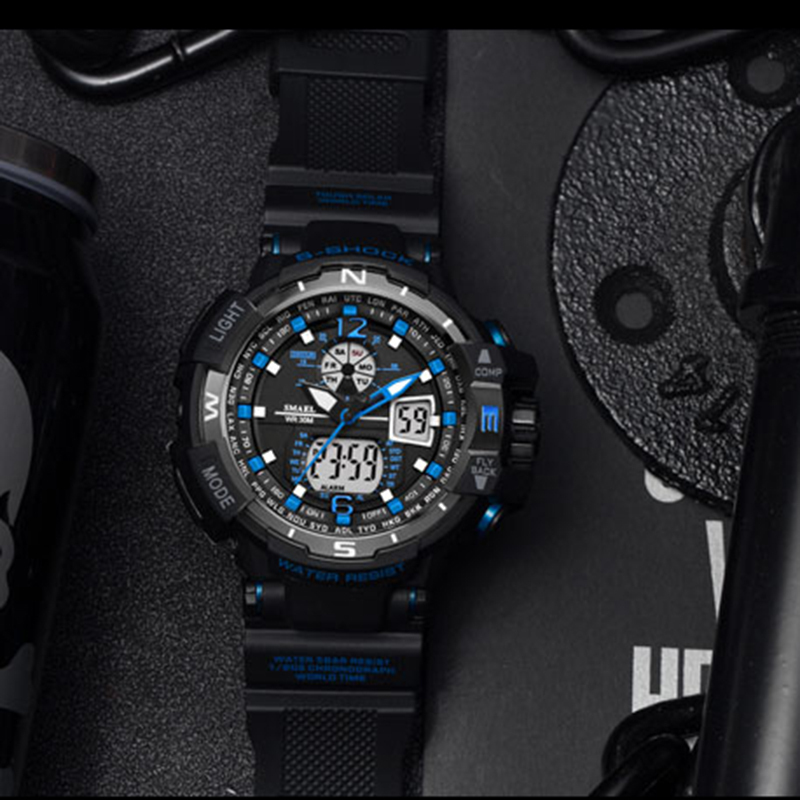 Cool look just like you, the new matte black color of this sport watches series adds a selection of watches with a distinctively adult character with medium case size . 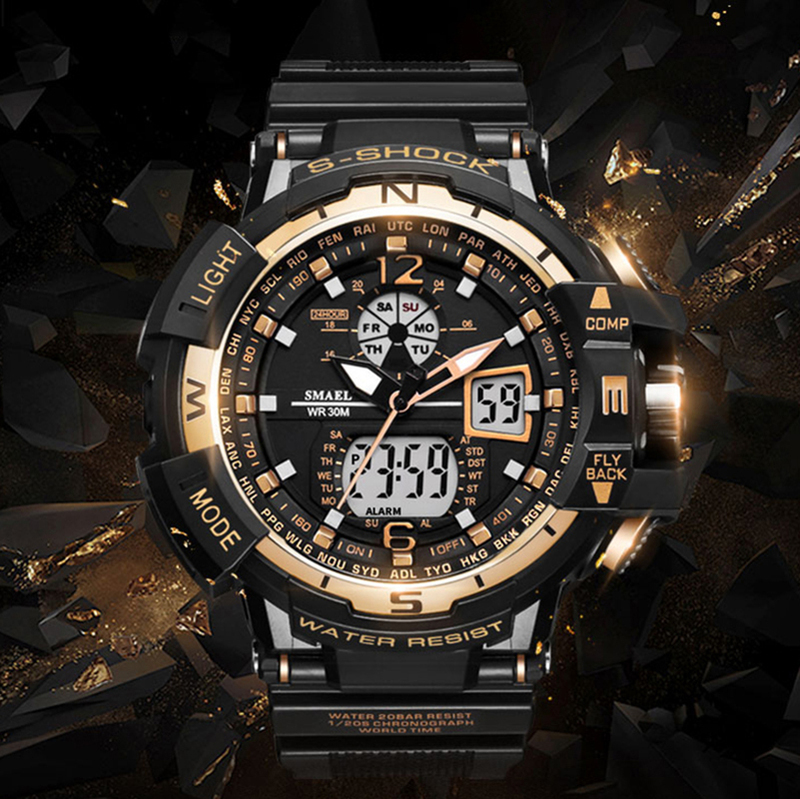 The multifunctional dial make timepiece not only fashion look,but also useful when sport . 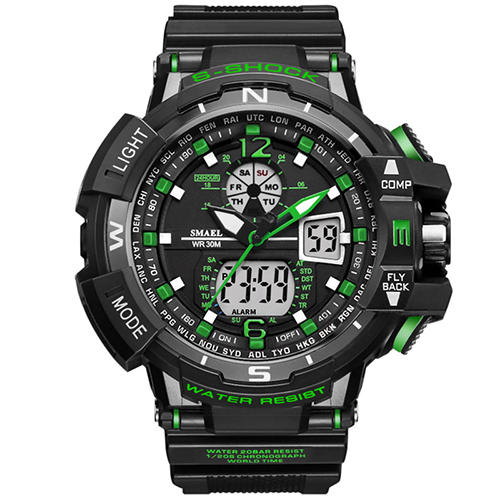 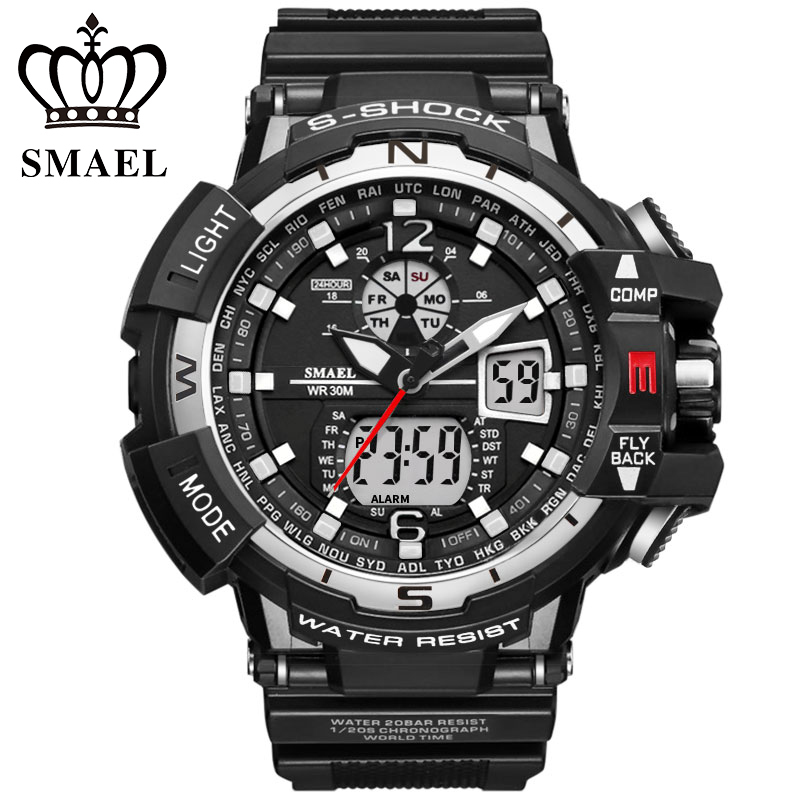 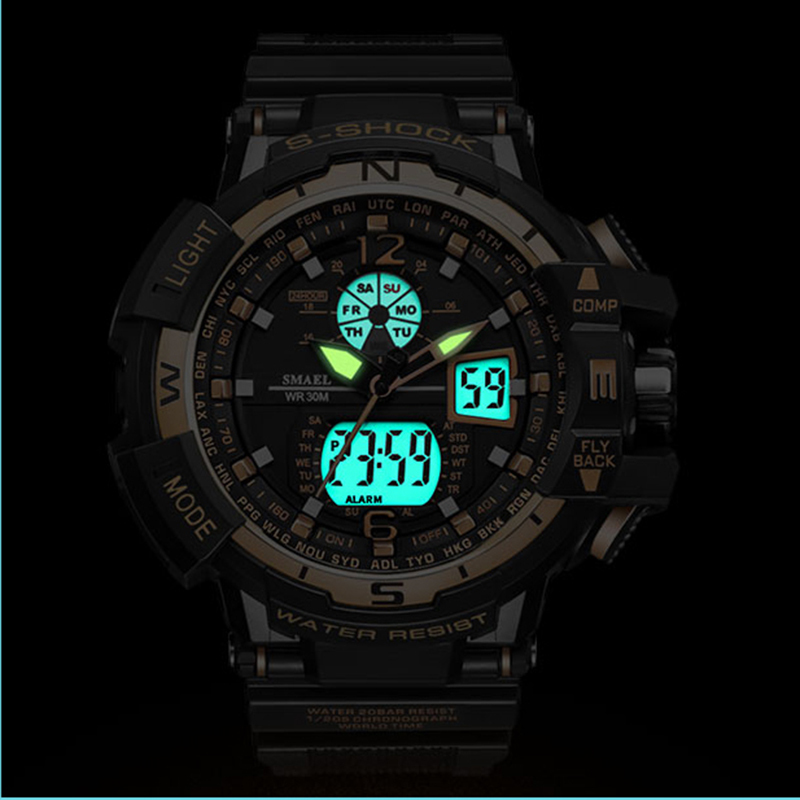 The logo of the watch is: "S-SHOCK" and "SMAEL". If you mind, please do not buy.